You can't buy this pasta because the ravioli are too large and too delicate to transport. As for the fresh-tasting sauce—which has just the right tang to complement the rich filling—chef Grueneberg swears that coarsely grating tomatoes by hand makes all the difference. 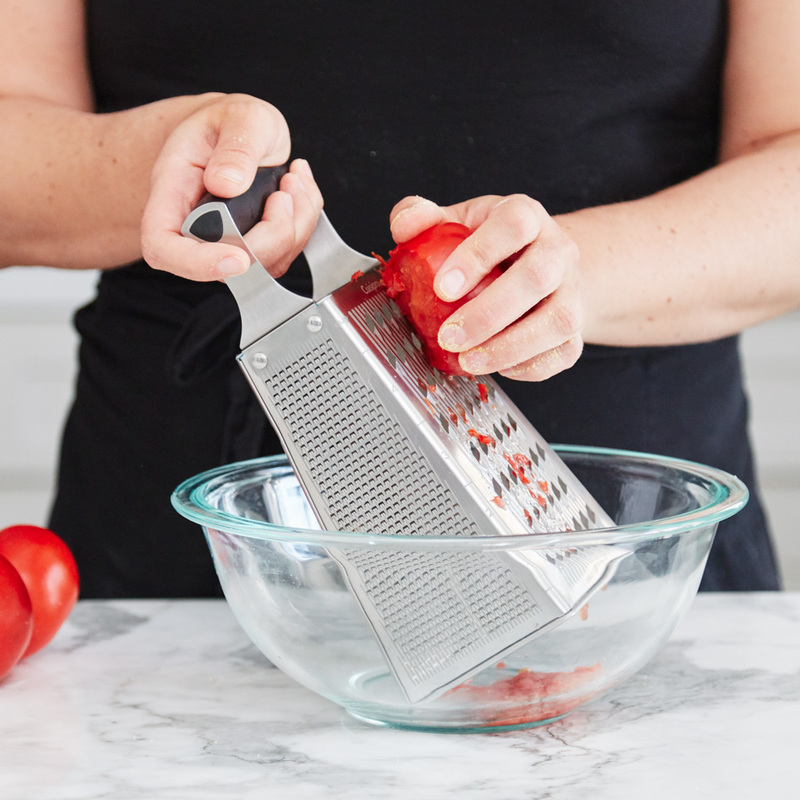 Rub the tomatoes on the large holes of a box grater set in a bowl until only the skins remain in your hand. Cook the tomato pulp with garlic and olive oil to make a simple sauce. Quarter and flatten the dough. 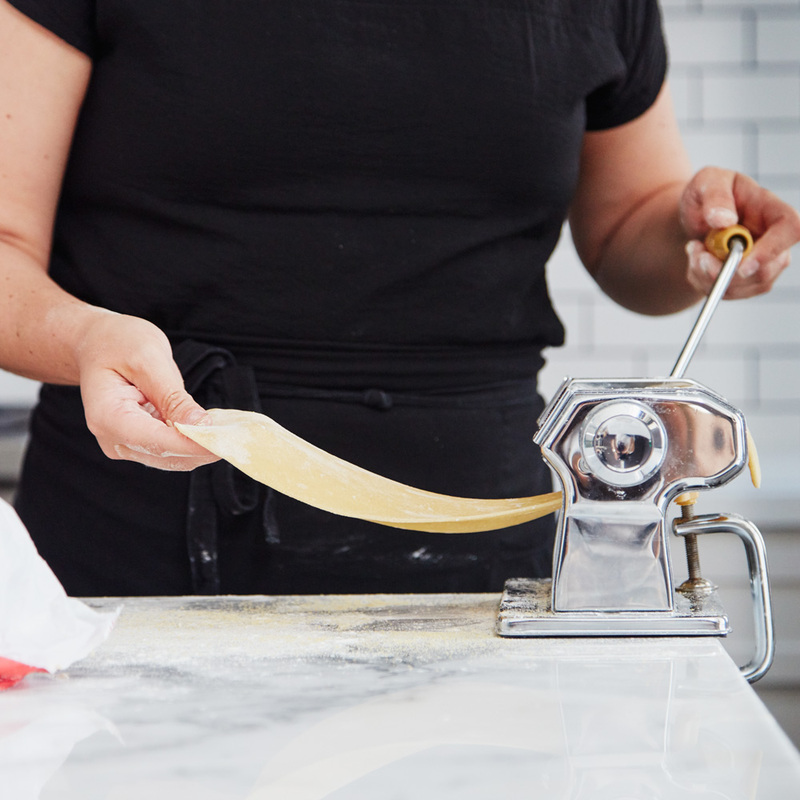 Beginning at the pasta machine's widest setting, roll out each piece of dough through successively narrower settings until you have a thin sheet. Spread the filling into 3-inch rounds and make an indentation in each one. Gently set an egg yolk into each hollow. 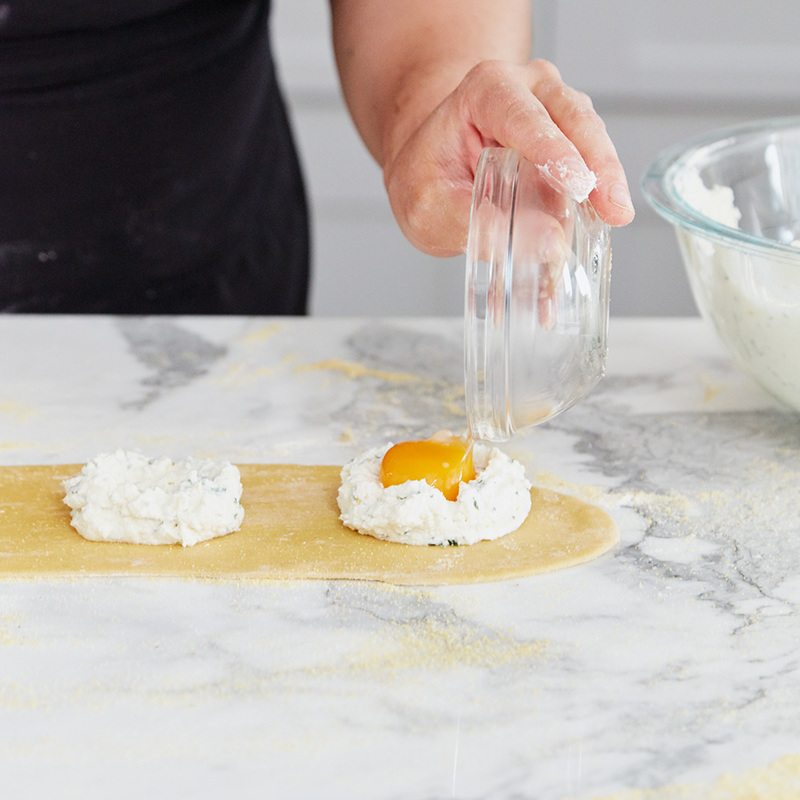 Brush the dough with egg white. Cover with another pasta sheet. 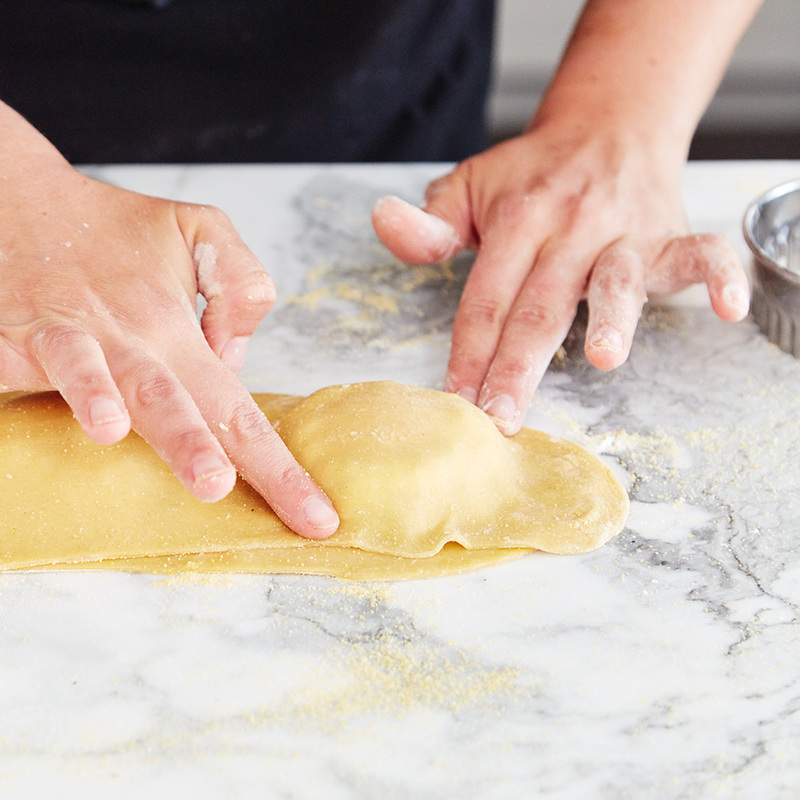 Using your fingertips, press the pasta dough around the filling to release any air bubbles and to seal. Since the yolks are nestled in the ricotta, they're protected. 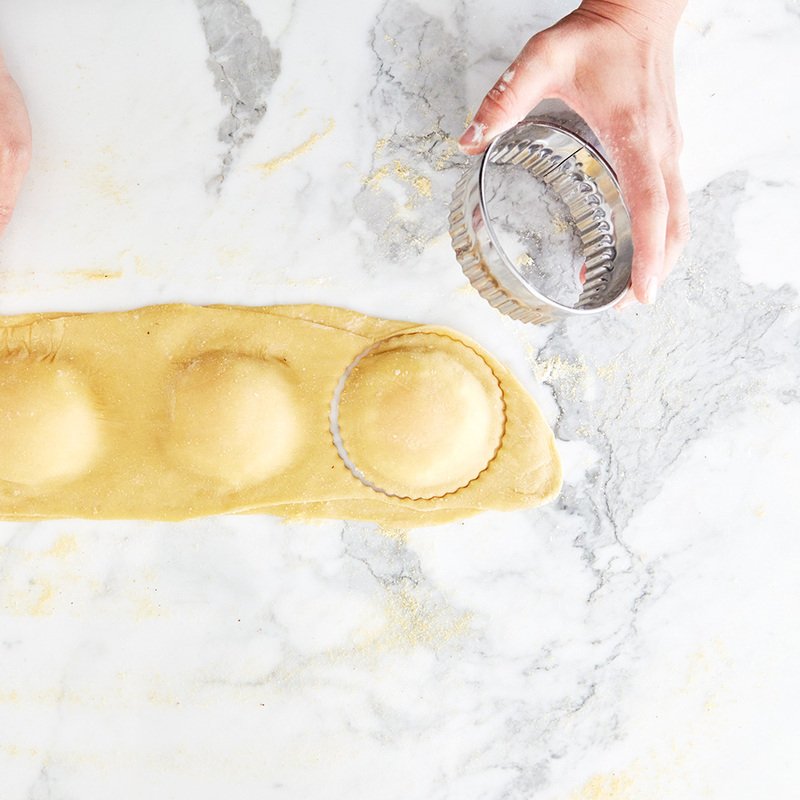 Using a fluted or round biscuit cutter, stamp out the ravioli in neat rounds. 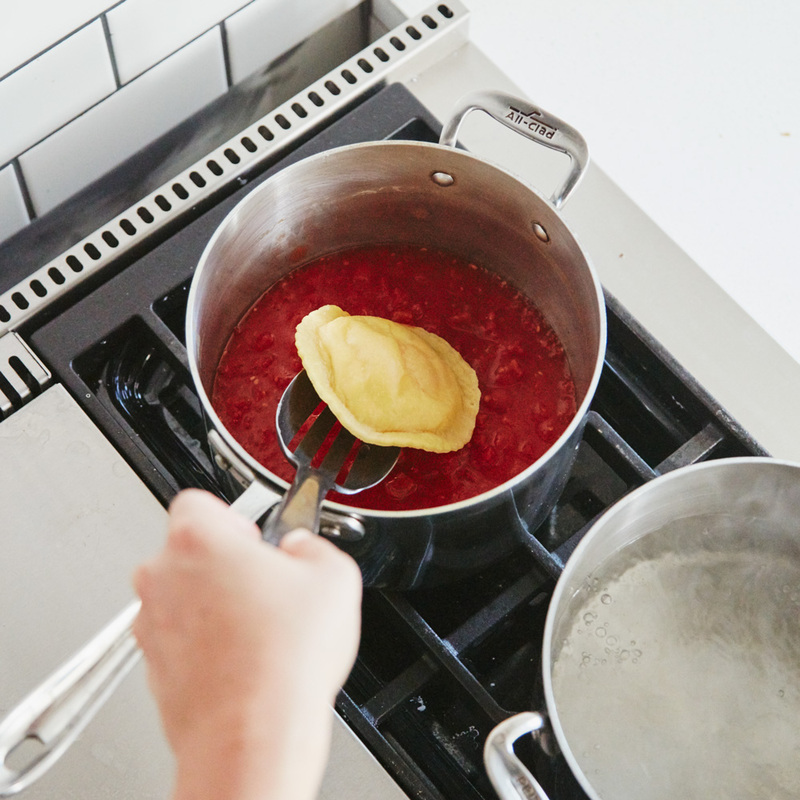 Cook the ravioli in a large pot of salted boiling water; remove when just al dente, then drain and transfer to the tomato sauce to coat thoroughly.